Hello, lovelies~ I'm back~! ish. Haven't really gotten around my usual posting schedule, but I'm getting there, yeah? It's only a couple more days to 'the day', if you know what I'm talking about. The nerves haven't arrived yet, but I think it will be there this Saturday morning. I just hope everything goes as planned. Anyway, before I went on a long rant, let me just start the review, 'kay? 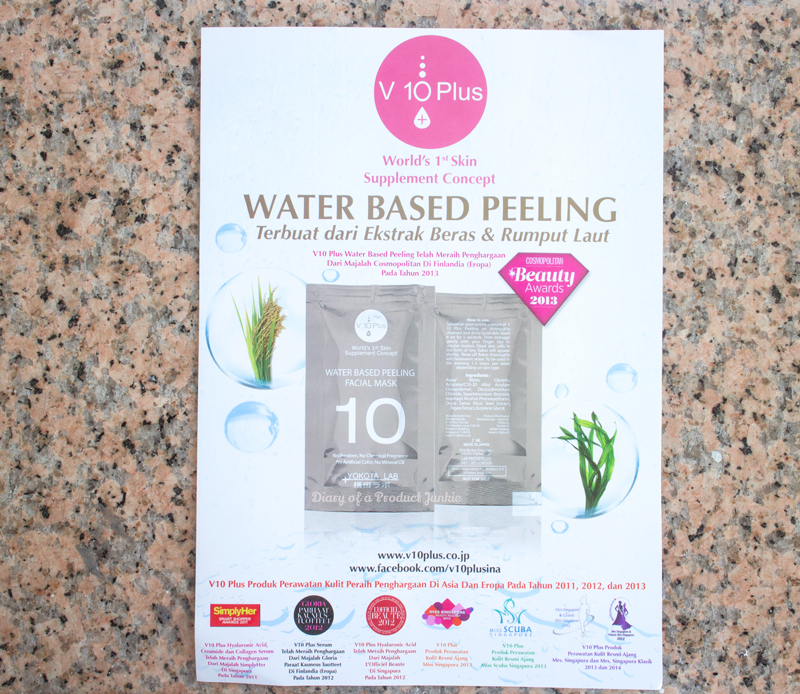 A winner of the Cosmopolitan Beauty Awards back in 2013, this peeling facial mask boasts to contain rice extracts and seaweed extracts that helps to remove dead skin cells, thus achieving a brighter complexion in an instant. 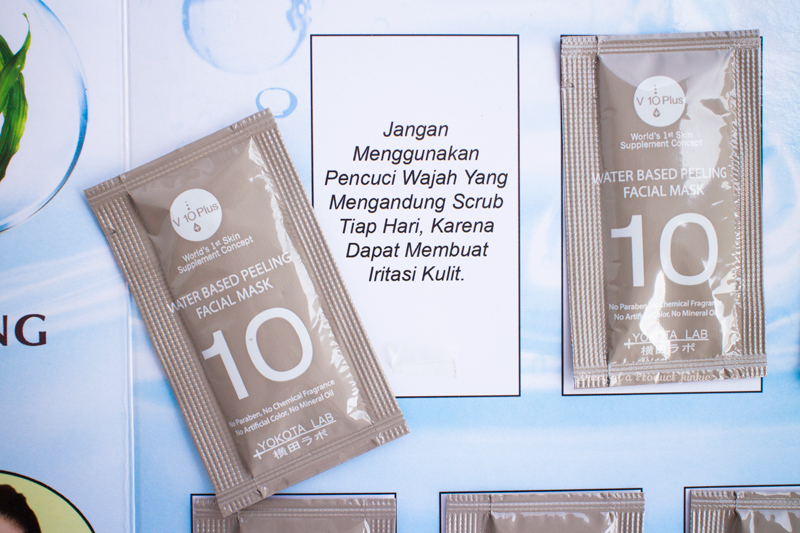 There are ten sample sachets in the booklet, enough for five weeks of twice exfoliation in a week. 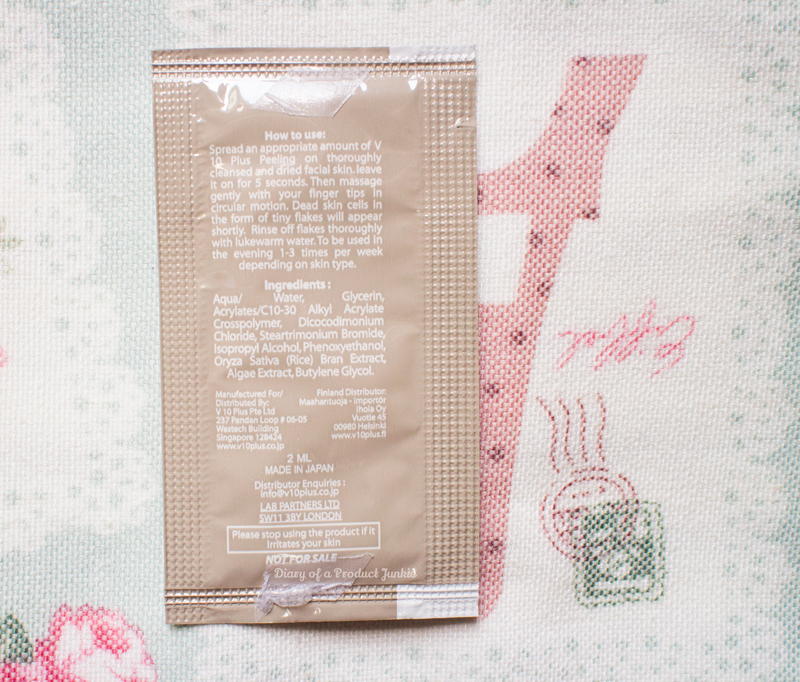 Not the biggest fan of sachets, but oh well. The full size appearance of this product, for those who were wondering. 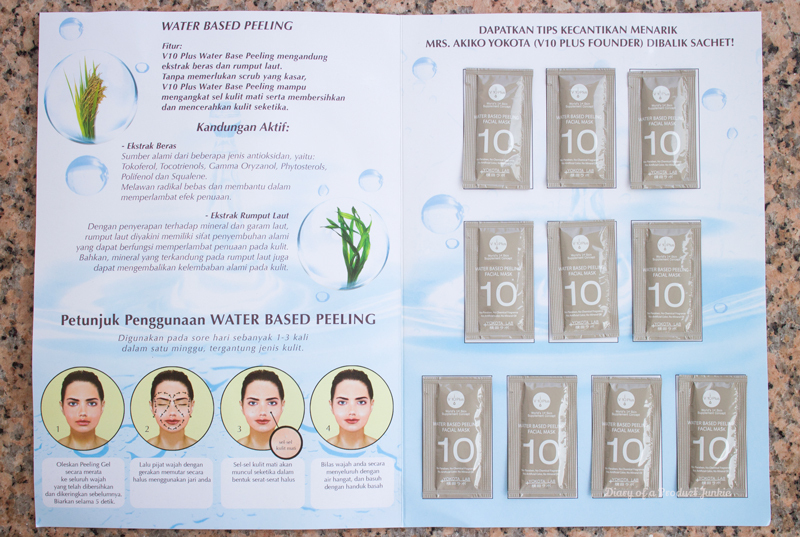 There's a beauty tip behind each sachet! Here is one that is saying not to exfoliate everyday as it may be too much on the skin and irritate it. To get brighter skin, this is used on clean and dry skin, remember that! 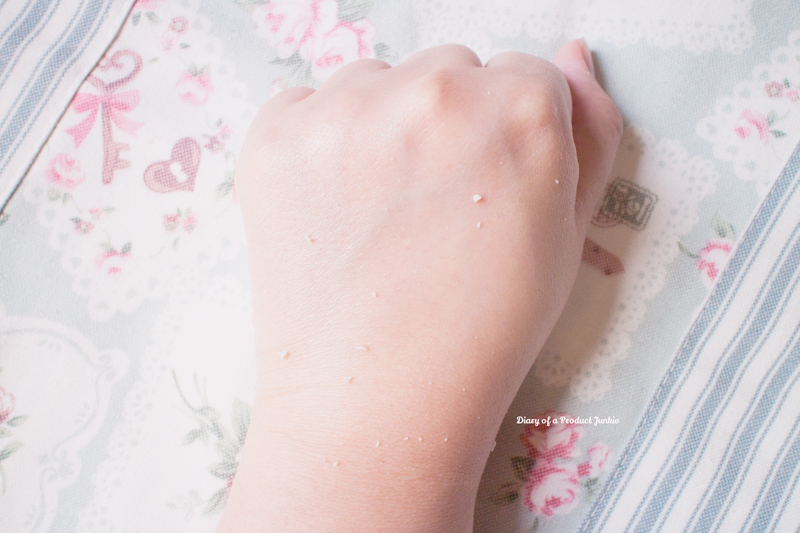 If it's applied on wet skin, it won't be an effective exfoliator to remove the dead skin cells. 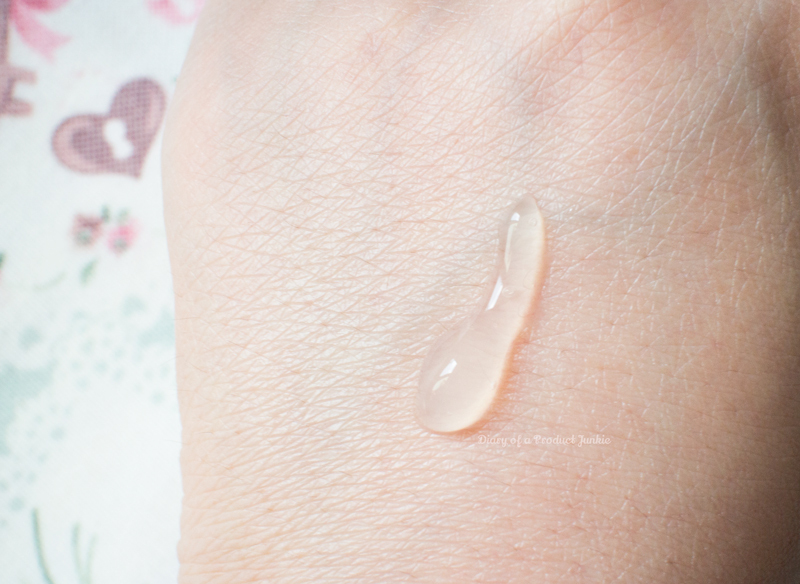 Before it works, it just looks similar to a regular, transparent gel, almost like aloe vera. For more information on the products, you can check out their facebook page over here. I think they're having a special price on this specific product.